Wedding favors are something that every soon-to-be-married couple pays attention to – after all, we all want our guests to feel our appreciation coming from a small gesture such as getting a wedding favor for them. This can mean buying different kinds of food and other stuff, all packed in creative and adorable packages. 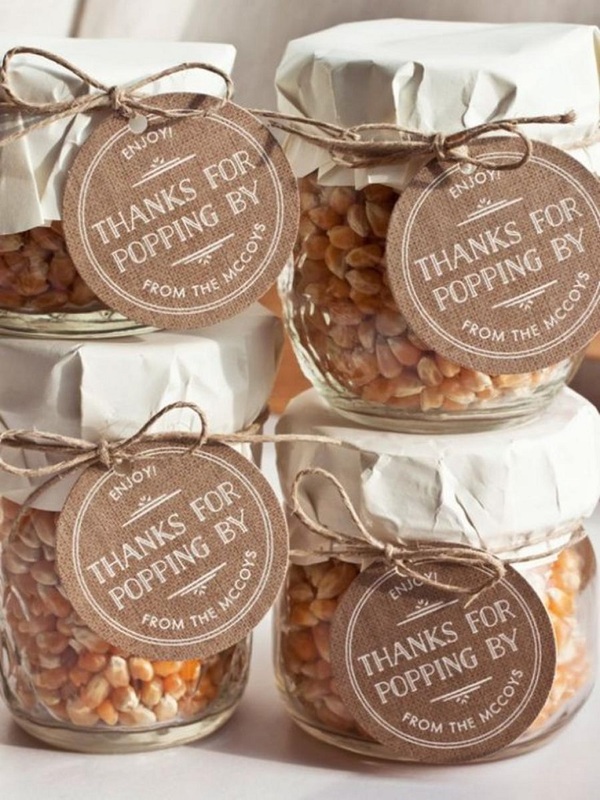 Below you will find ten ideas on what to get for a weddings favor. Most of these are so easy to make that you can easily prepare it with your bridesmaids. Check them out and let us know which of these favors you would like to have on your wedding or receive as a guest. We can all agree that what makes this wedding favor so special is the way it is packed – the cute, funny tag, the tiny mason jar and the twine ribbon really make it so adorable! However, popcorn has its role here as well – at least you won’t have to worry about snacks at home! Just take them out and pop them. 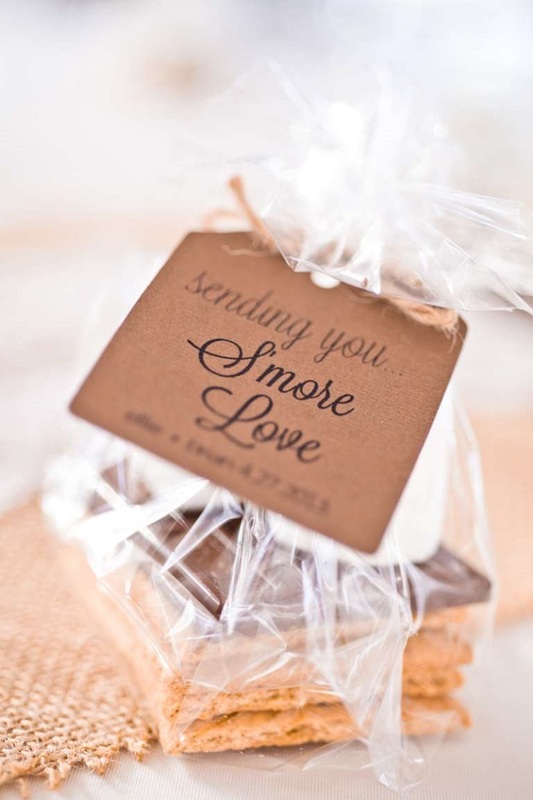 One of the most favorite desserts of all time, S’mores can be quite the wedding favor that your guests are going to crave for. It’s a simple favor, but at least you’ll know that your guests will have something sweet to indulge in! This is also an easy favor that you can do it yourself – just get more of the three famous S’mores ingredients – chocolate, crackers and marshmallows, arrange them in an interesting way and pack them. Want to give an adorable, nerdy twist to the ordinary wedding favors? Here’s a way you can do it: first, get the needed materials: test tubes, corks, test tube racks, luggage tags and nerd candies in your colors. When you have everything you need, just fill the tubes and close them with corks, write what you want on the tags and tie them around the tubes – that’s it. Is there anyone who doesn’t like giant cookies? We’re sure that each of your guests won’t forget to take their cookie, especially if there are children present – it will certainly put a smile on their face! 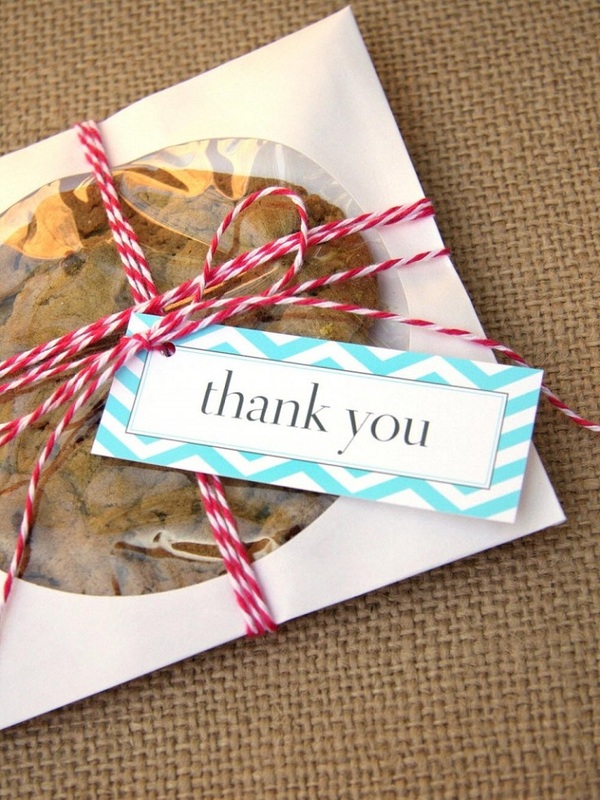 For this you can choose your favorite cookie recipe and put it in a CD envelope and pack it like pictured. If desserts and candy isn’t your thing, how about preparing a nice, healthy breakfast for your guests? Packed like this, they can even take it for work! To prepare the pumpkin spice granola, you need 3 cups old fashioned oats, ½ cup sliced almonds, ¼ cup pumpkin seeds, ¼ cup sesame seeds, ½ cup golden raisins, 3 tablespoons brown sugar, 1 tablespoon pumpkin spice seasoning, 1 teaspoon ground cinnamon, 1 teaspoon salt, 4 tablespoons coconut oil, ¼ cup honey, ¼ cup pumpkin puree and 2 teaspoons vanilla extract. 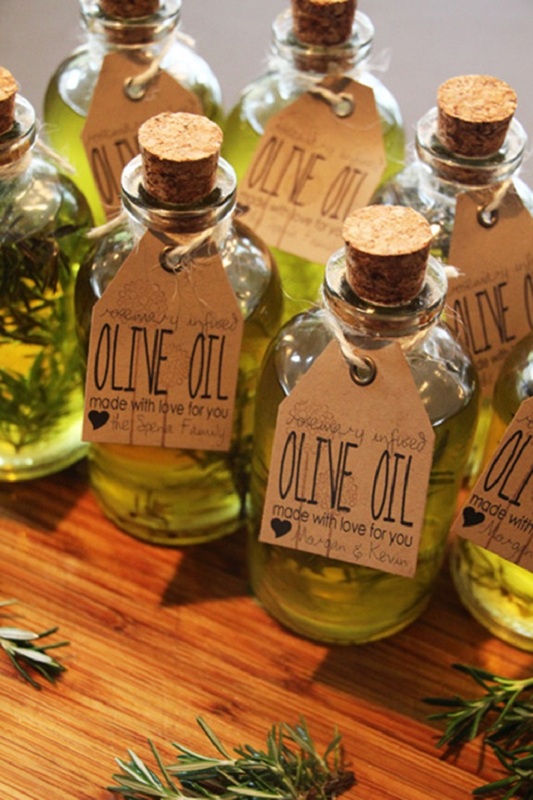 Perfect for guests who love cooking, they will find this handmade rosemary infused olive oil really useful. To make your own rosemary infused oil, for six 8 oz bottles you need 15-20 rosemary sprigs, one half gallon of olive oil and small glass bottles with a sealable lid. 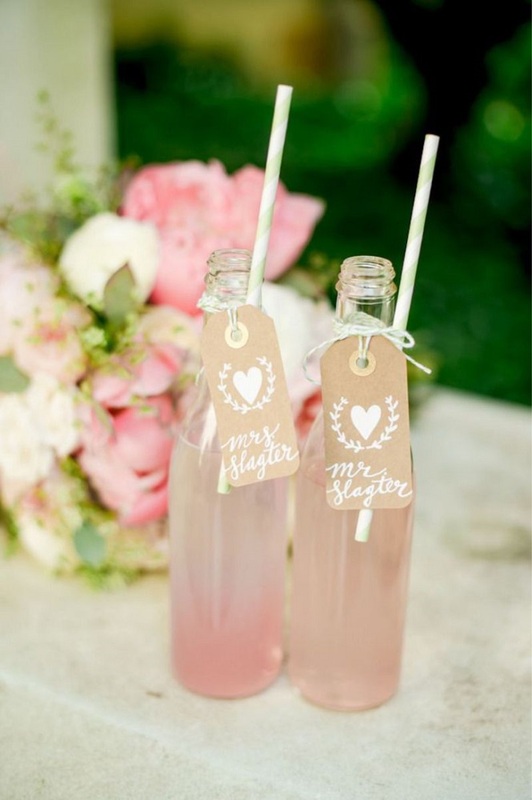 To make the wedding favor look even nicer, tie a tag around the bottle and write whatever you want. 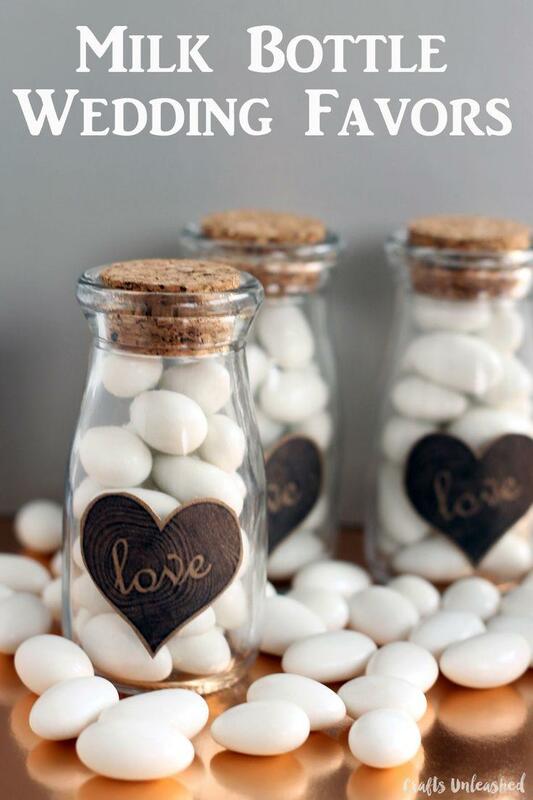 Instead of jars, why not use mini milk bottles? 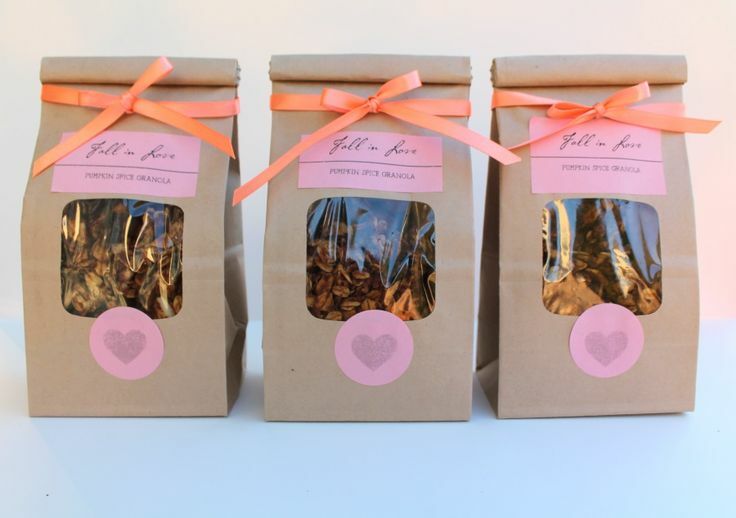 They can look equally cute and still be a great wedding favor. It is really easy to make these favors by yourself, as all you need to have besides the milk bottles, is candy, adhesive printable kraft paper, printable file (that you can download for free on the website below the picture) and craft scissors. 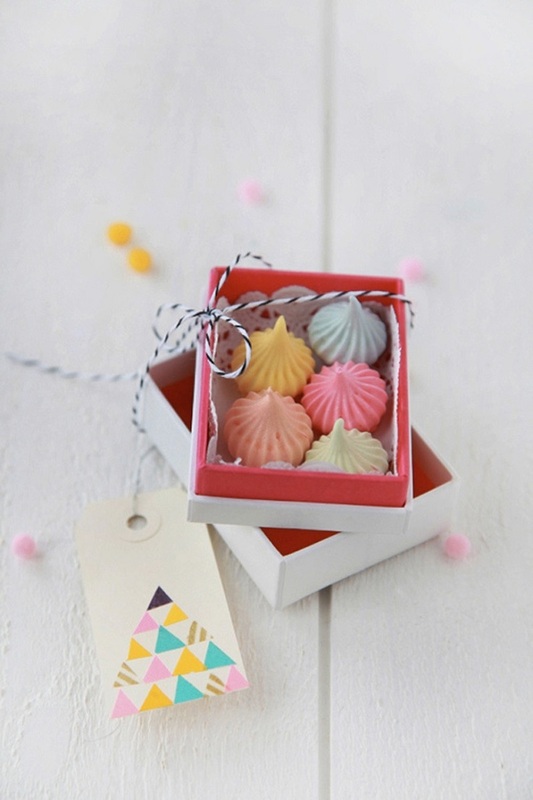 Again, here’s something for those guests with big sweet tooth – they can indulge themselves in these amazing French meringue cookies. Not only they taste delicious, but they also look adorable. Their small size, interesting shapes and color will catch everyone’s attention. Just make sure to place in them in a box to prevent them from breaking apart. 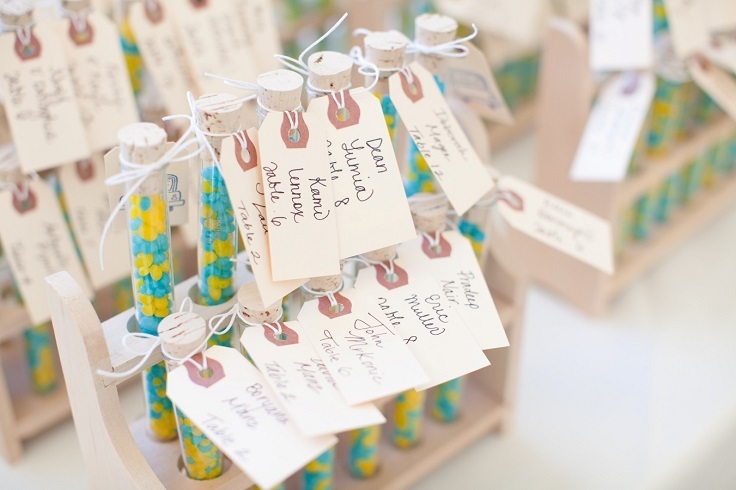 Personalized wedding favors are amazing, as long as you have a favor for everyone on the list! This means that you should be really careful when preparing the favors – you don’t want to miss a name and leave a guest without a favor, right? However, here’s what you can do when it comes to personalized favors – soda or other drink in glass water, with cute straw and even cuter tag. And last, you can use personalized Tic Tacs with your name on it. This small, delicious wedding favor won’t cost you a lot and yet it will look amazing! 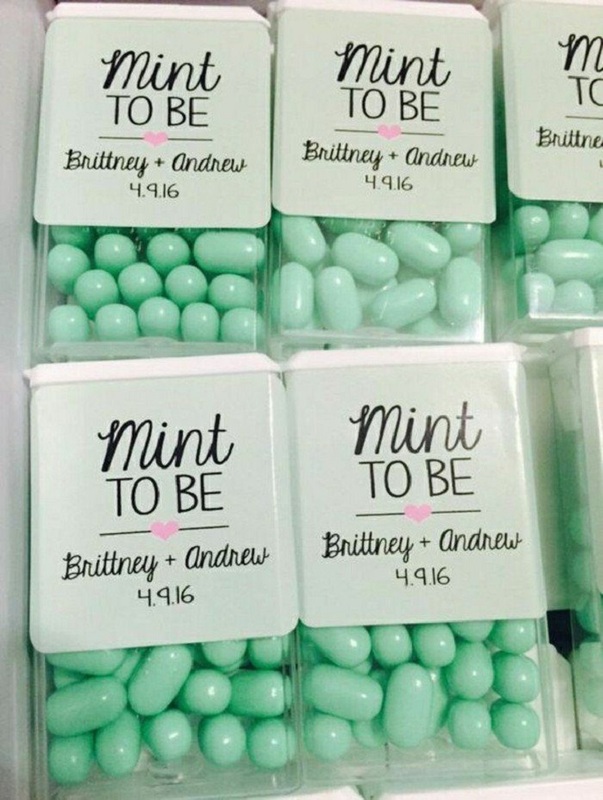 Just choose the perfect tag that you would like to see on this tiny box and using a funny quote such as “mint to be” will certainly put a smile on your guest’s face.